Soldiers are now authorized to wear either black or white socks with their Army physical fitness uniform. Effective immediately, black socks can be worn with either the gray-black PT uniform or the new gold and black uniform. Like white socks, the black socks must be plain with no logos. The socks can be calf-length or ankle-length, but must at least cover the entire ankle bone, said Sgt. Maj. Eva M. Commons, Army uniform policy sergeant major with G-1. The new policy comes as a result of Soldiers requesting the change over the last several months, Commons said. "The senior Army leaders will go out to various installations and receive questions from the field," Commons said. "...One of the ones brought back was the request to be authorized to wear black socks." The Army staff then examined the request, she said. The black sock question was also placed into a uniform item survey completed in August by 18,588 Soldiers. Almost 67 percent of respondents, or 12,408 said that black socks should be authorized. Since the black socks will be optional, there was no production requirement, no cost associated, and the logistical aspect was minimal, so this change was able to go through an abbreviated board process, Commons said, but added that all of the steps of the Uniform Board process were still completed before the change was considered by the Army chief of staff. "We were able to get through all of the steps much more quickly and get it approved and get it implemented so Soldiers can start operating under this new guidance," she said. The new guidance is outlined in an Exception to Policy, or ETP, memorandum signed by Lt. Gen. James McConville, Army G-1, Nov. 5. That memo will serve as the authorization for Soldiers to wear black PT socks until DA Pam 670-1 is updated in a few months, Commons said. Another change to the new DA Pam 670-1 will be the elimination of all reference to the dress green Army Service Uniform, or ASU. Sept. 30 was the wear-out date for the green Class A jacket, she explained. All Soldiers should now have the blue ASU. 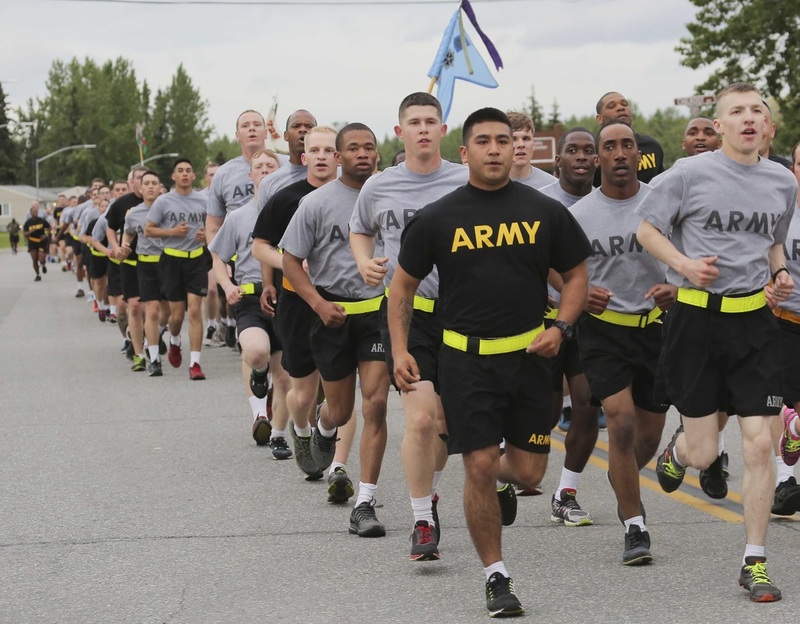 Other items in the recent uniform survey must go before the Uniform Board at Department of the Army before they can be implemented, Commons said. The survey included questions about a wind-proof blue Eisenhower jacket, a single-style "campaign hat" for all drill sergeants, and a single-style ASU cap for all Soldiers. A majority of Soldiers voted for the optional wind-proof Eisenhower, or IKE, jacket meant to be worn in the workplace. A total of 11,613 Soldiers, or 62.5 percent of the respondents, were in favor of authorizing the Ike jacket to be worn in addition to the current black windbreaker. Soldiers also voted that all drill sergeants, including women, should wear a single-style "campaign hat," already worn by male drill sergeants. A total of 11,590 Soldiers, or 62.4 percent of respondents, wanted this headgear for all drill instructors. A majority of survey respondents wanted the Army to go to a single-style service cap for all Soldiers. A total of 12,250 Soldiers, or 65.9 percent, wanted the "bus driver" type cap - now worn by males - to be authorized for wear by all Soldiers. In addition, 10,313 respondents, or 55.4 percent, wanted the blue service cap to be the required headgear with ASUs for senior noncommissioned officers (sergeant first class and above), officers and warrant officers, instead of the beret. A representative sample of active-duty, National Guard and Army Reserve troops were asked to complete the uniform survey.